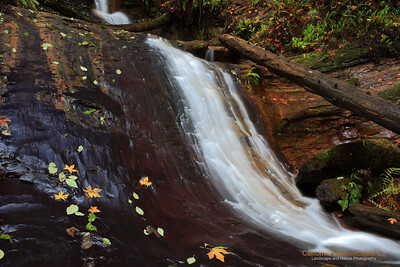 "Fall in Big Basin" Location: Silver Falls, Big Basin Redwood State Park, California. 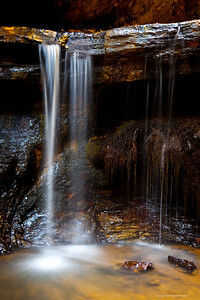 I have always been fascinated to capture an image of maple leaves on sandstone next to a flowing stream. I know that Zion National Park offers many such spots but I was thrilled to find similar arrangement of elements deep in the jungles of Big Basin Redwood State Park. Here is info on the hike from Big Basin Redwood State Park page Tech Info: Lens: Canon EF 24-70mm f/2.8L @ 55mm Camera: Canon EOS 5D Mk II Exposure: This is a panorama from three horizontal images each shot at f/8 with exposures ranging from 1/5sec at far right to 1.3 sec on far left at ISO 500 Filters: No filters Processing: Panorama was created using Adobe Photoshop CS4 Big Basin Redwood State Park is one of the pristine and less known areas if the Bay Area. If you enjoy hiking this is a great place to see tall redwood tress, cascading waterfalls and interesting fall colors when the time is right. The place is best known for its beautiful Berry Creek waterfalls which require at least 4 miles of hiking to reach one way. There are actually three cascading waterfalls along the stream and all of them are very beautiful especially after a rainy season. 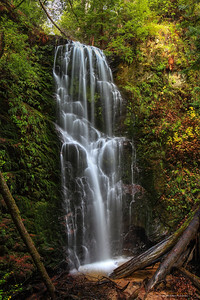 "Berry Creek Falls" Location: Big Basin Redwood State Park, California. These are iconic waterfalls in the mountains of Santa Cruz. To reach up to this point one has to hike at least 4 miles one way, but the views are worth the efforts especially when the waterfalls are flowing after a few winter rainstorms. 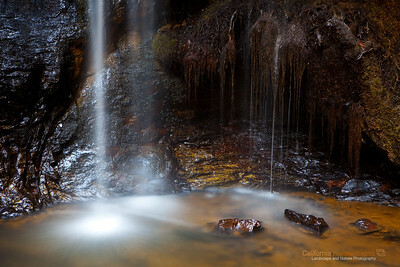 Tech Info: Lens: Canon EF 24-70mm f/2.8L @ 32mm Camera: Canon EOS 5D Mk II Exposure: 2.5sec at f/14 and ISO 100 Filters: No filters Big Basin Redwood State Park is one of the pristine and less known areas if the Bay Area. If you enjoy hiking this is a great place to see tall redwood tress, cascading waterfalls and interesting fall colors when the time is right. The place is best known for its beautiful Berry Creek waterfalls which require at least 4 miles of hiking to reach one way. There are actually three cascading waterfalls along the stream and all of them are very beautiful especially after a rainy season. "Berry Creek" Location: Big Basin Redwood State Park, California. Situated deep in the redwood forests of Santa Cruz hills Berry Creek trail is one of my favorite trails during late winter months. To get to this spot you need to hike about 5 miles from the visitor center by the hike through the giant redwoods is worth the long walk. Tech Info: Lens: Canon EF 24-70mm f/2.8L @ 48mm Camera: Canon EOS 5D Mk II Exposure: 13sec at f/8 and ISO 200 Filters: No filters There are many cascading falls on this trail and typically after a rainstorm the water has nice flow. I will hopefully return here sometime again and capture other spots. Big Basin Redwood State Park is one of the pristine and less known areas if the Bay Area. If you enjoy hiking this is a great place to see tall redwood tress, cascading waterfalls and interesting fall colors when the time is right. The place is best known for its beautiful Berry Creek waterfalls which require at least 4 miles of hiking to reach one way. There are actually three cascading waterfalls along the stream and all of them are very beautiful especially after a rainy season. "Berry Creek" Location: Big Basin Redwood State Park, California. Situated deep in the redwood forests of Santa Cruz hills Berry Creek trail is one of my favorite trails during late winter months. To get to this spot you need to hike about 5 miles from the visitor center by the hike through the giant redwoods is worth the long walk. Tech Info: Lens: Canon EF 24-70mm f/2.8L @ 60mm Camera: Canon EOS 5D Mk II Exposure: 25sec at f/10 and ISO 100 Filters: No filters There are many cascading falls on this trail and typically after a rainstorm the water has nice flow. I will hopefully return here sometime again and capture other spots. Big Basin Redwood State Park is one of the pristine and less known areas if the Bay Area. If you enjoy hiking this is a great place to see tall redwood tress, cascading waterfalls and interesting fall colors when the time is right. The place is best known for its beautiful Berry Creek waterfalls which require at least 4 miles of hiking to reach one way. There are actually three cascading waterfalls along the stream and all of them are very beautiful especially after a rainy season. 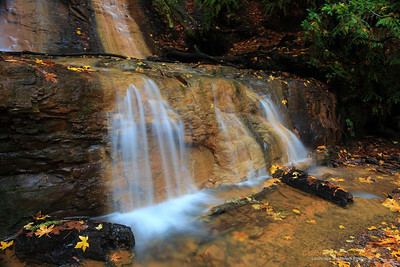 "Golden Cascade Falls" Location: Big Basin Redwood State Park, California. Second the series of three cascading falls along the Berry Creek these are Golden Cascade Falls. Tech Info: Lens: Canon EF 24-70 f/2.8L @24mm Camera: Canon EOS 5D Mk II Exposure: 4sec at f/13 and ISO 50 Filters: No filters Big Basin Redwood State Park is one of the pristine and less known areas if the Bay Area. If you enjoy hiking this is a great place to see tall redwood tress, cascading waterfalls and interesting fall colors when the time is right. The place is best known for its beautiful Berry Creek waterfalls which require at least 4 miles of hiking to reach one way. There are actually three cascading waterfalls along the stream and all of them are very beautiful especially after a rainy season. 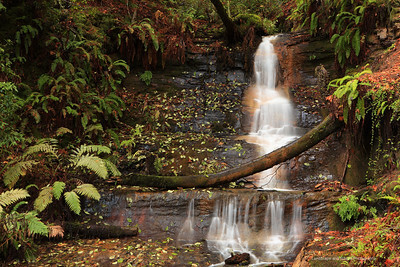 "Middle Golden Cascade Falls" Location: Big Basin Redwood State Park, California. 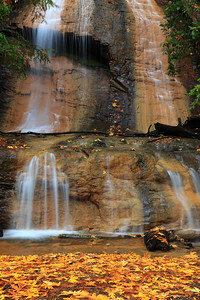 Second the series of three cascading falls along the Berry Creek these are Golden Cascade Falls. Tech Info: Lens: Canon EF 24-70 f/2.8L @57mm Camera: Canon EOS 5D Mk II Exposure: 2sec at f/8 and ISO 100 Filters: No filters Big Basin Redwood State Park is one of the pristine and less known areas if the Bay Area. If you enjoy hiking this is a great place to see tall redwood tress, cascading waterfalls and interesting fall colors when the time is right. The place is best known for its beautiful Berry Creek waterfalls which require at least 4 miles of hiking to reach one way. There are actually three cascading waterfalls along the stream and all of them are very beautiful especially after a rainy season. 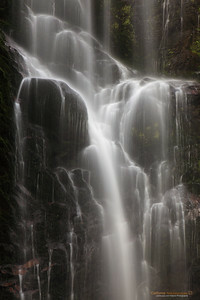 "Upper Golden Cascade Falls" Location: Big Basin Redwood State Park, California. These are the upper most section of the cascading falls on the Berry Creek. The fall colors were added bonus for me. Tech Info: Lens: Canon EF 24-70 f/2.8L @57mm Camera: Canon EOS 5D Mk II Exposure: 2sec at f/13 and ISO 160 Filters: B+W Circular Polarizer Big Basin Redwood State Park is one of the pristine and less known areas if the Bay Area. If you enjoy hiking this is a great place to see tall redwood tress, cascading waterfalls and interesting fall colors when the time is right. The place is best known for its beautiful Berry Creek waterfalls which require at least 4 miles of hiking to reach one way. There are actually three cascading waterfalls along the stream and all of them are very beautiful especially after a rainy season. 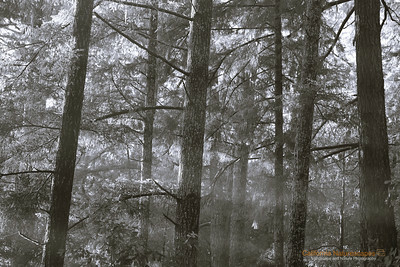 "Redwoods of Big Basin" Location: Big Basin Redwood State Park, California. Big Basin is one of the closest places to see redwood tress in the Bay Area. The hike can be even more rewarding during early hours of the day when sunlight and fog interact creating very interesting lighting conditions among the trees. Tech Info: Lens: Canon EF 100mm f/2.8L IS Macro Camera: Canon EOS 5D Mk II Exposure: 1/80 sec, at f/4.5 and ISO 640 Filters: No filters Big Basin Redwood State Park is one of the pristine and less known areas if the Bay Area. If you enjoy hiking this is a great place to see tall redwood tress, cascading waterfalls and interesting fall colors when the time is right. The place is best known for its beautiful Berry Creek waterfalls which require at least 4 miles of hiking to reach one way. There are actually three cascading waterfalls along the stream and all of them are very beautiful especially after a rainy season. Big Basin Redwood State Park is one of the pristine and less known areas if the Bay Area. If you enjoy hiking this is a great place to see tall redwood tress, cascading waterfalls and interesting fall colors when the time is right. The place is best known for its beautiful Berry Creek waterfalls which require at least 4 miles of hiking to reach one way. There are actually three cascading waterfalls along the stream and all of them are very beautiful especially after a rainy season.